This is a collection of the best free mobile friendly WordPress themes for your inspiration. The themes below are ideal for mobile friendly WordPress themes. These themes has unlimited colors, a bunch of fonts and a lot of advanced options. These are totally free WordPress themes, fully responsive and comes with powerful features. 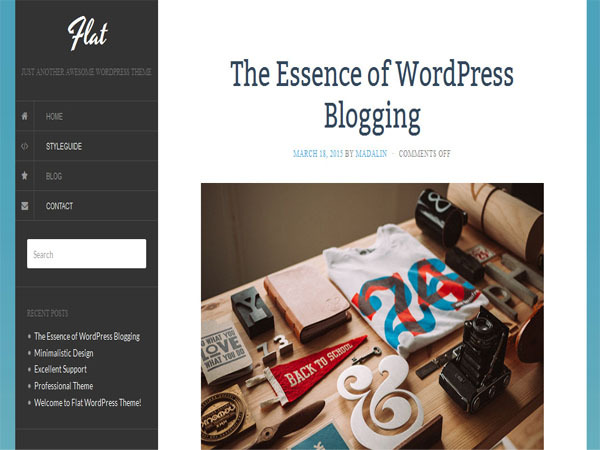 Flat is a creative and elegant WordPress theme for a personal blog, magazine, news or review website. Flat is completely responsive WordPress theme design. It has attractive sidebar for navigation, with clean sidebar navigation, theme can provide a nice, clean menu that is easily the most important component on your website. This flatly designed theme allow you to easily manage, describe and catalogue media in a meaningful way. 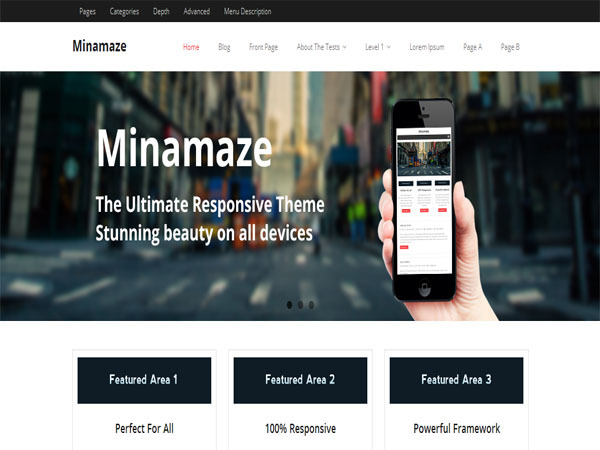 Minamaze is a modern and impressively visually stunning WordPress theme design. This theme is fully responsive and automatically adjust it’s layout quickly on all kind of devices such as smartphones, computer desktop, laptops, tablets, iPhone and iPad. 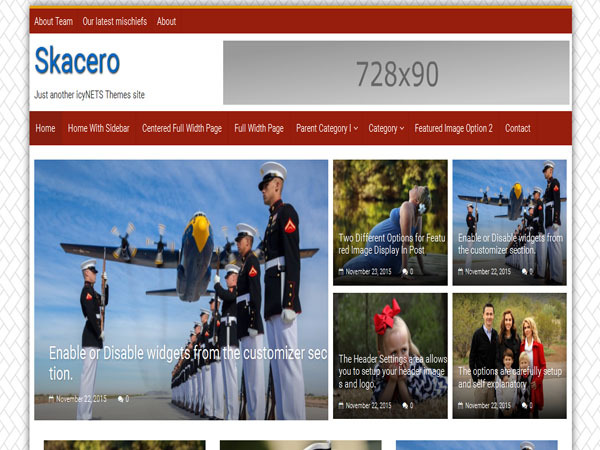 The theme gives you a full width easy to use slider, it has powerful theme options panel. This theme allows you to add a logo to your site and create a beautiful homepage using the built-in homepage layout. With Skacero Lite WordPress theme you can build stylish and attractive, modern and stunning mobile friendly websites for news or personal blogging, newspaper, magazine, publishing and business. This is first carefully developed theme who optimized for AdSense and user engagements. 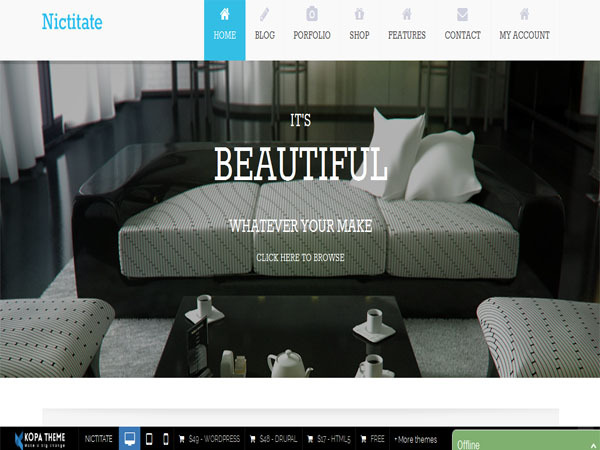 Nictitate is a professional looking multi purpose WordPress theme designed for almost all kinds of business. It has totally responsive and flexible layout design and looks beautiful and is very attractive on any device. The design is clean, well-structured coded and also very easy to customize. 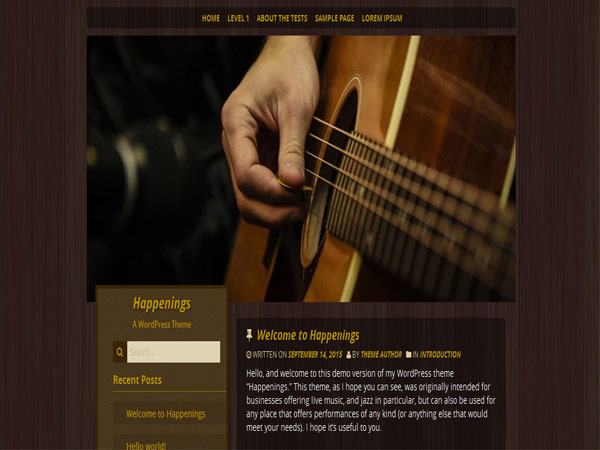 Happenings is an attractive and well-designed free mobile-friendly WordPress theme for announcing events, like musical performances or plays, at coffee shops, theaters or other venues. This theme has 100% responsive layout design and resizes slickly on any types of devices. This theme has custom background and custom header. you can change background images easily with in minutes. This WordPress theme comes with custom menu and left sidebar. Theme gives you sticky post and theme options and two columns. 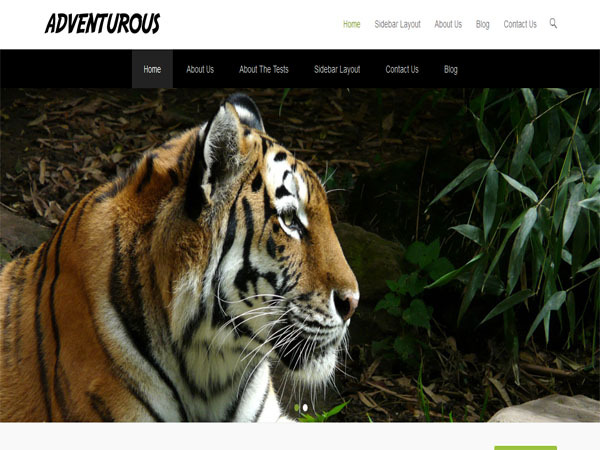 Adventurous is a professionally designed WordPress theme suitable for photographers, bloggers and businesses. It is responsive theme design. This clean and stunning, lightweight WordPress theme based in HTML and CSS. It has easy to use theme options panel. This theme is translation ready, powerful options, catch Web tools and more. This theme highly customizable and flexible. 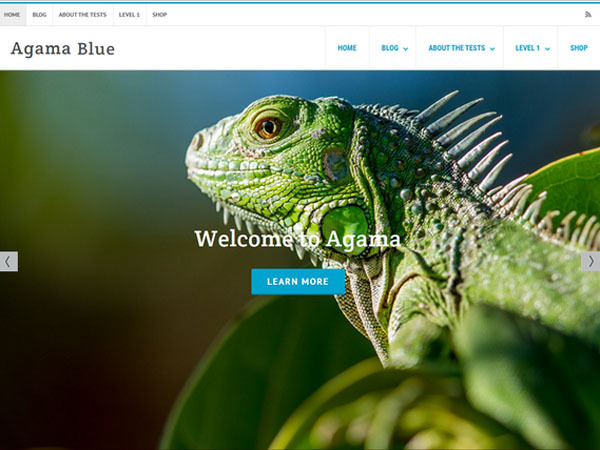 Agama Blue is a impressive and attractive free mobile friendly WordPress theme. This theme has responsive layout that resizes slickly on any sizes of screen displays. 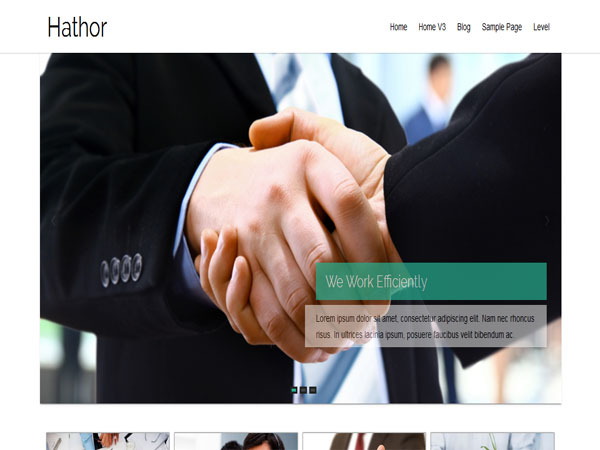 This WordPress theme has custom background and custom header. Theme comes with left sidebar and right sidebar and microformats. This theme gives you one column and post formats. This WordPress theme has powerful theme options. Hathor is a impressively stunning and unique WordPress theme for many purposes like Magazine, Blog, Portfolio, Creative or Business. This theme make easy to fully customize the layout. This theme has has a 2 header style and 2 service block style and 2 latest post layout. Theme is SEO friendly and has plenty of user-friendly options. This theme comes with full width and box option and translation ready. 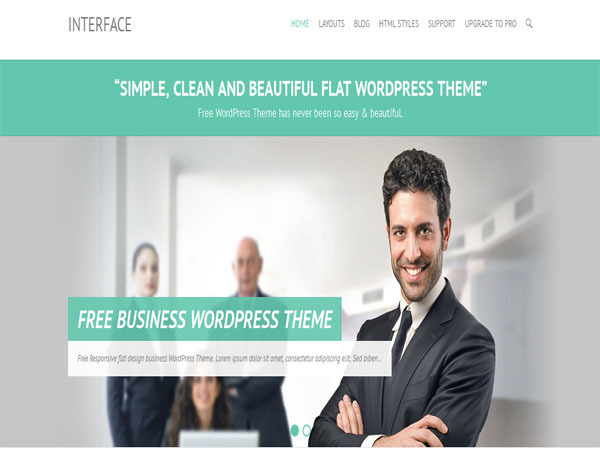 Interface is a clean and flat WordPress theme. This theme is responsive and retina ready. This theme has 4 layouts for every post/page and 5 page templates. It is also translation ready. This theme comes with 10 social icons, top and bottom info bar to hightlight your contact/email/location and many more. 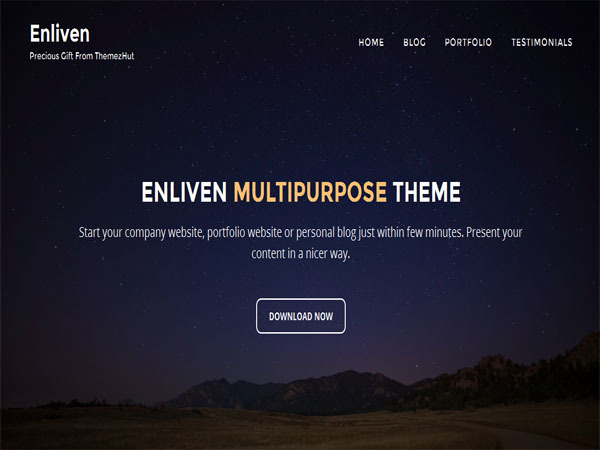 Enliven is a impressive and sleek multi purpose WordPress theme design. Business homepage widgets help you to setup the business homepage faster and without touching any code. Hueman is a sleek and creative WordPress theme. Hueman is a responsive 100% high resolution WordPress theme design. This theme has 3 flexible custom widgets and featured story or slider and 10 post formats. This theme gives you 0-4 footer widget columns and almost zero layout images. Theme gives you unlimited topbar and header and footer and accent colors. 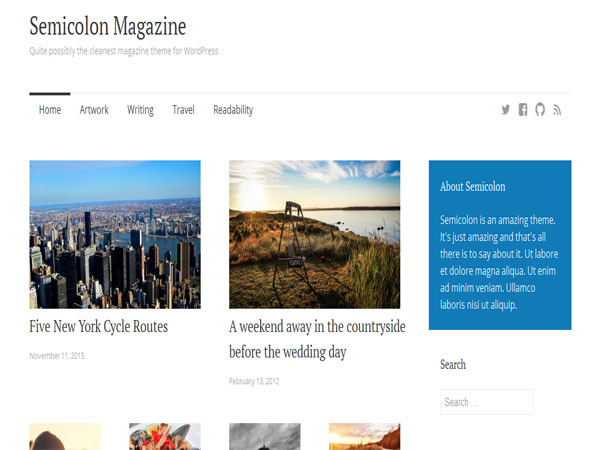 Semicolon is a modern and eye catching WordPress theme. This WordPress theme has fully responsive layout design. This theme has custom colors and editor style. Theme comes with threaded comments and three columns. This theme manages to stands out from the crowd in an elegant way. This theme has social profiles menu and widget areas. 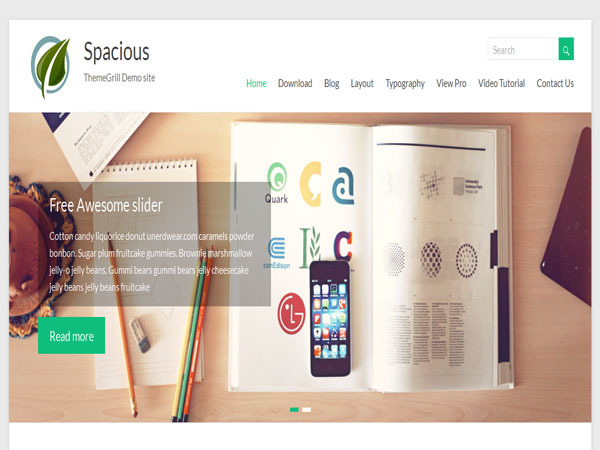 Spacious is a fresh and impressive free WordPress theme design. This is multipurpose and responsive theme design. It has 4 page layouts and 2 page templates. 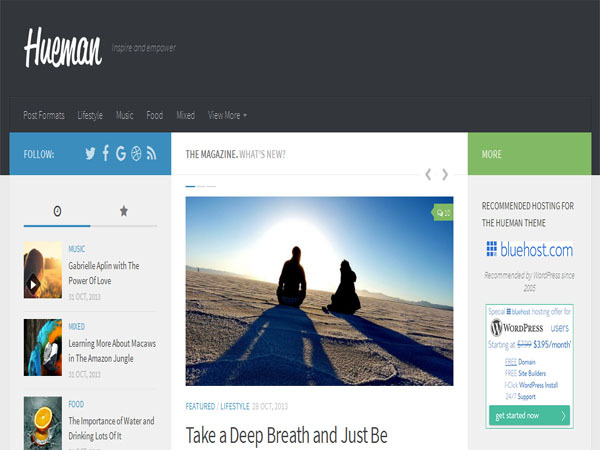 This theme comes with 4 blog display types and 13 widgets areas and 5 custom widgets. This theme gives you boxed & wide layout and light & dark color skin. 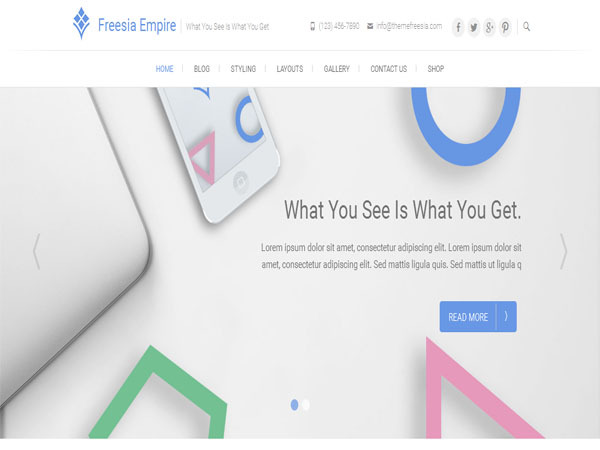 Freesia Empire is an elegant and impressive WordPress theme. This is fully responsive multi-Purpose WordPress theme design. It is translation ready and easily customizable with lots of theme options using customizer. This theme comes with breadcrumb NavXT and WP-PageNavi and contact form 7. This theme gives you freesia empire-corporate template and with lots of widgets and sidebar. Theme also gives custom background and custom colors and custom header.